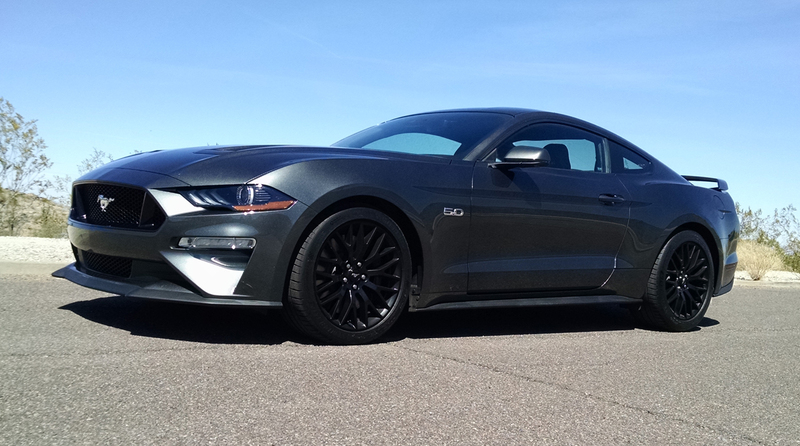 The 2018 Mustang GT represents the first face-lift to the S550 Mustang since its introduction as a 2015 model. 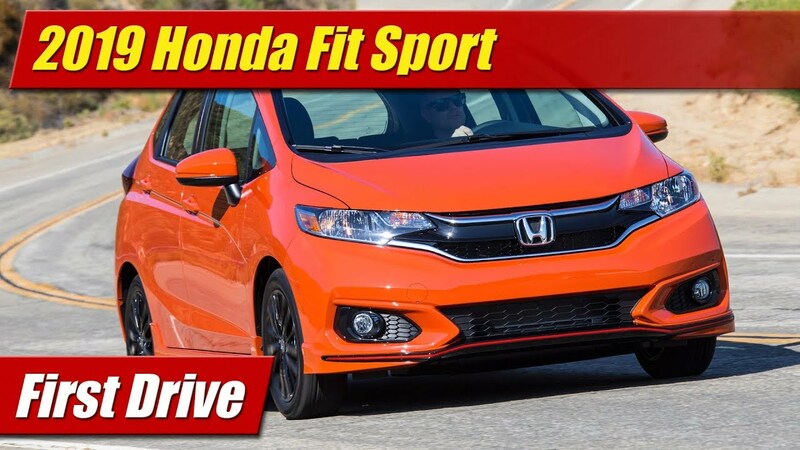 With it came styling tweaks mostly to the front and a few small details at the rear, under hood a revised version of the 5.0 liter V8, new transmissions, and a re-tuned suspension just to name a few things. 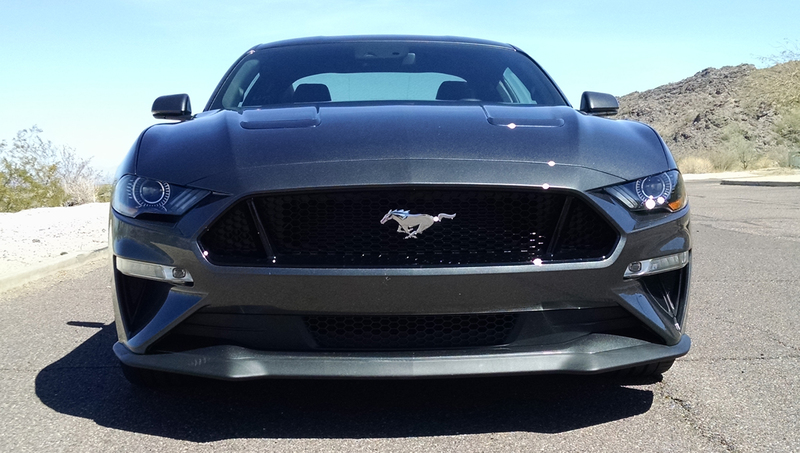 Our fully optioned Mustang GT Premium showed off its new lower profile nose and slimmer headlights seductively in the color of Magnetic. 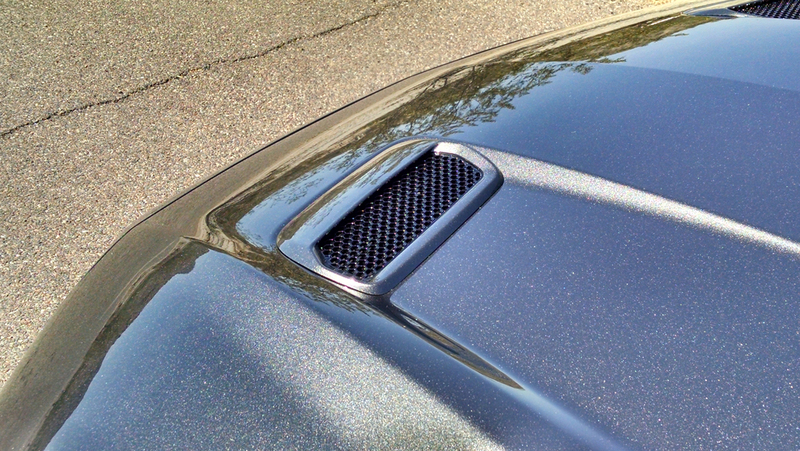 LED headlights and fog lights along with gloss black grille work are new as is a re-sculpted vented hood. 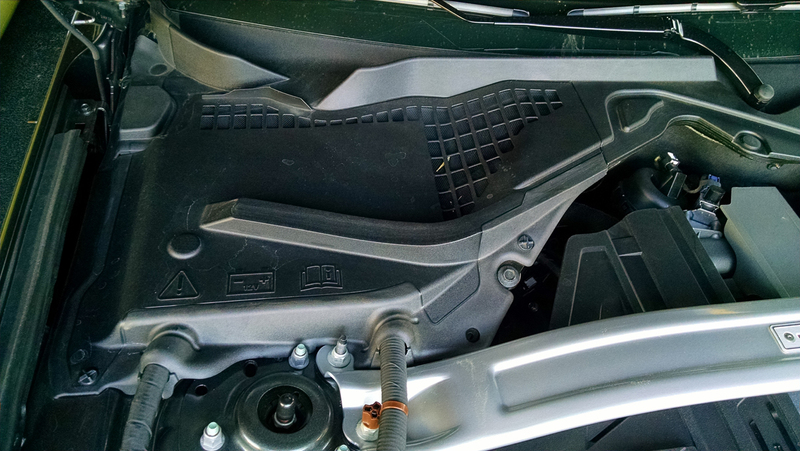 At the rear the tail light panel gets slightly revised and a new lower fascia has a more angular theme to frame out the dual quad exhaust outlets. 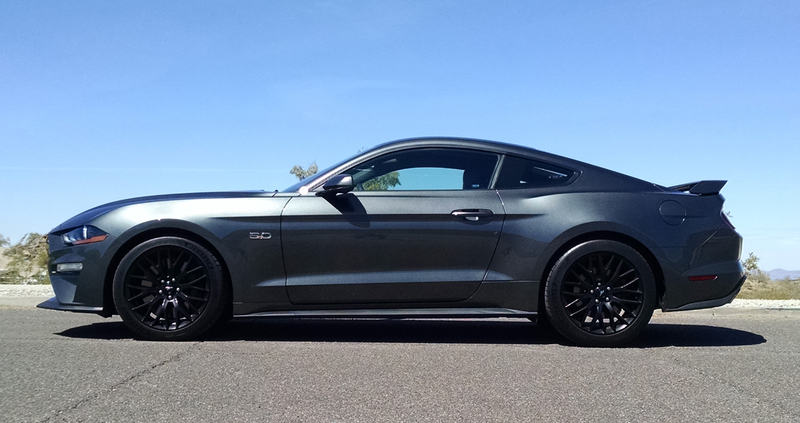 Our Mustang GT was optioned with the Performance Package with brought with it satin black finish 19-inch alloy wheels. 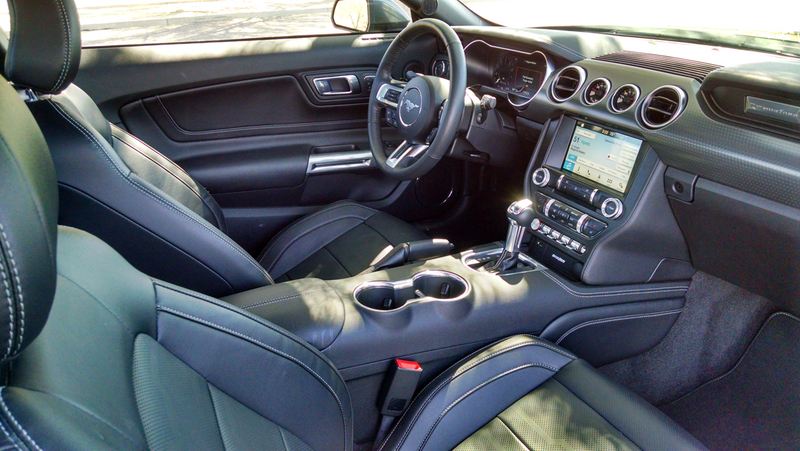 The interior also got a few updates, particularly on our top end model starting with the new wide screen LCD instrument cluster. Wiping out the dual round dial design, it features a fully customizable workspace for visuals, trip computer functions, drive modes and the track apps. It’s nice to look at and can be made to look different in several ways. It has good graphics, well thought out features and is a nice modernization to the otherwise retro themed cabin. 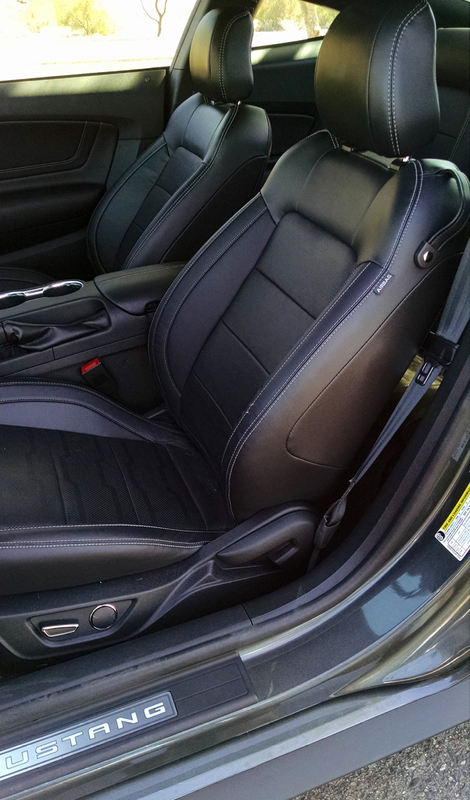 Materials have been revised here and there and in our tester the premium soft trims and leather seats made the car feel well worth its $53,255 sticker price. The Shaker Pro Audio and SYNC 3 infotainment system has always been one of our favorites and remains so with a full array of feature content, excellent graphics and user interface, ground shaking audio and connectivity like Apple CarPlay and Android Auto. 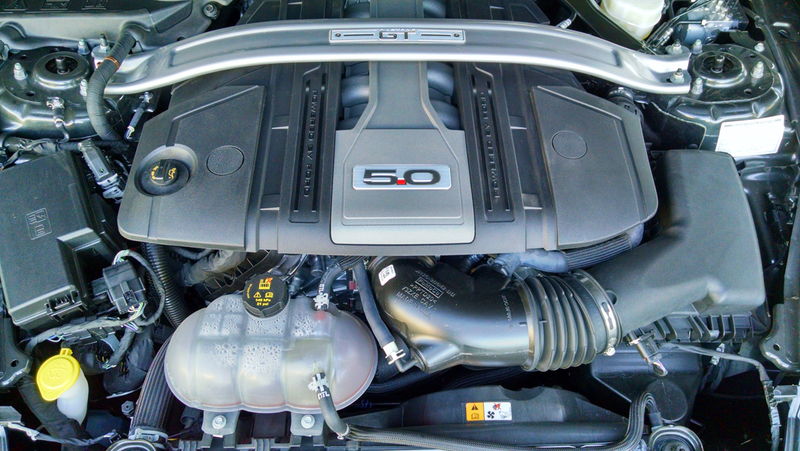 The real news is under the hood where the 5.0 liter Coyote V8 gets its first major upgrade with both direct and port fuel injection, new heads, intake and a number of other tweaks that raise its output to 460 horsepower and 420 pound-feet of torque. 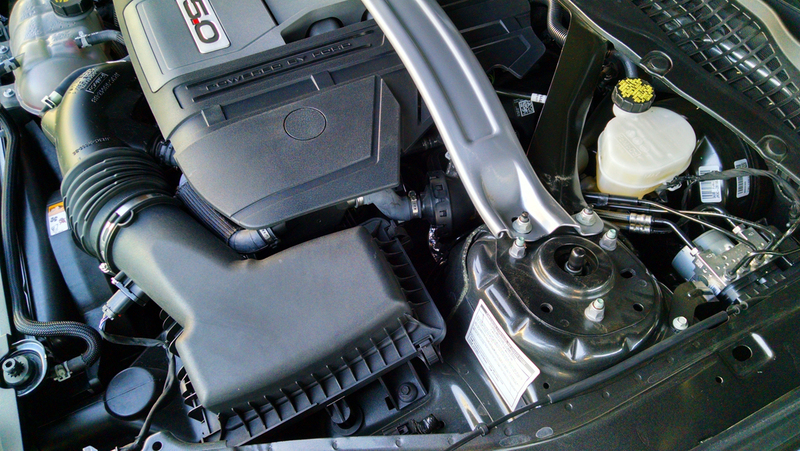 Optioned on our tester was the new for 2018 10-speed automatic transmission which is a shared component between GM and Ford. 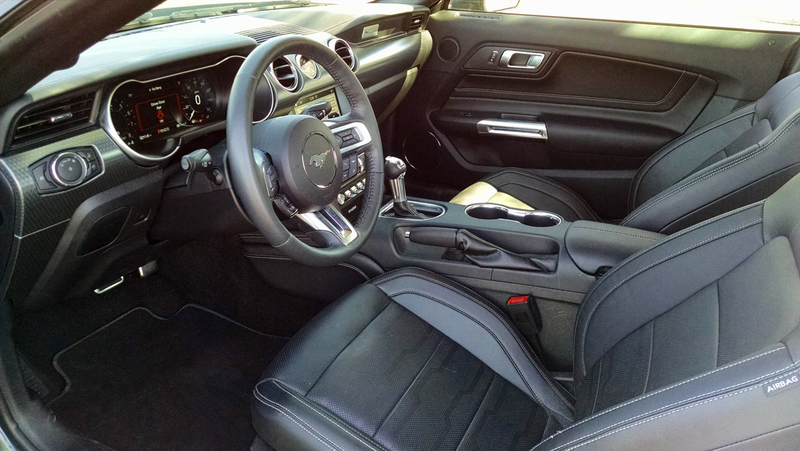 Also appearing in the Camaro, the new 10-speed gearbox can be dialed in for smooth or aggressive behavior via the driver selectable drive modes and shifted manually via steering wheel mounted paddles. 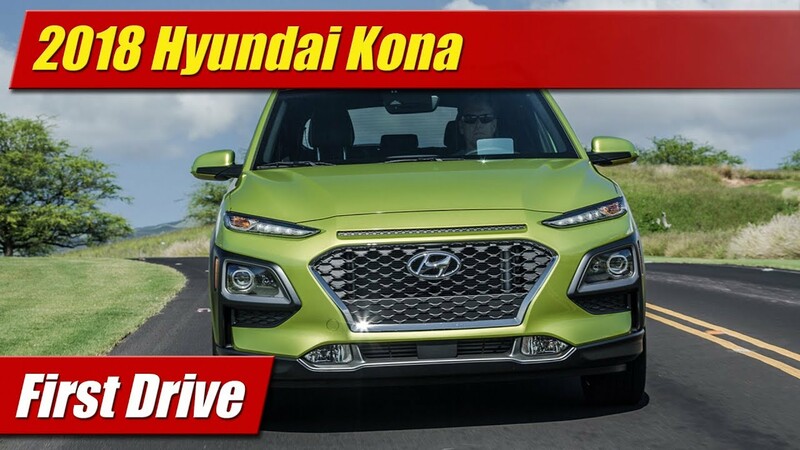 It works exceptionally well both in cruising around and in all out aggressive driving, always able to get right to the correct gear. Even though it has 10-speeds, it can skip around several gears when necessary so it never feels like too many. 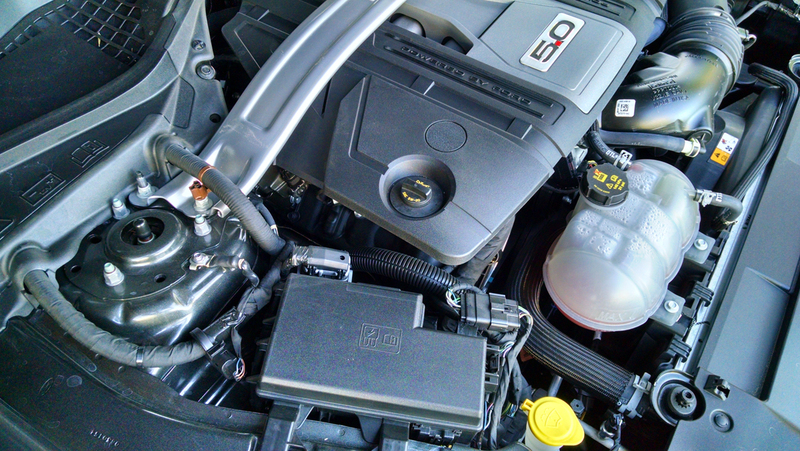 With the new transmission it’s rated by the EPA at 16 mpg city, 25 mpg highway and 19 mpg combined. 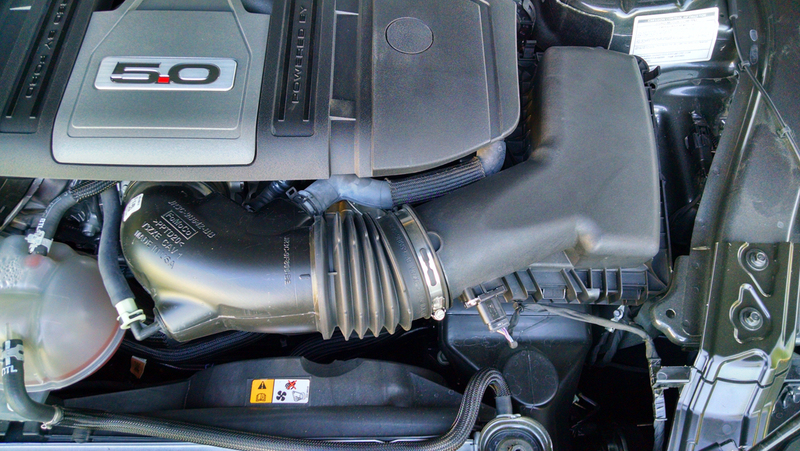 In our week with it we achieved 18 mpg combined which included a lot of city driving and being aggressive with it. We feel it was a good showing. 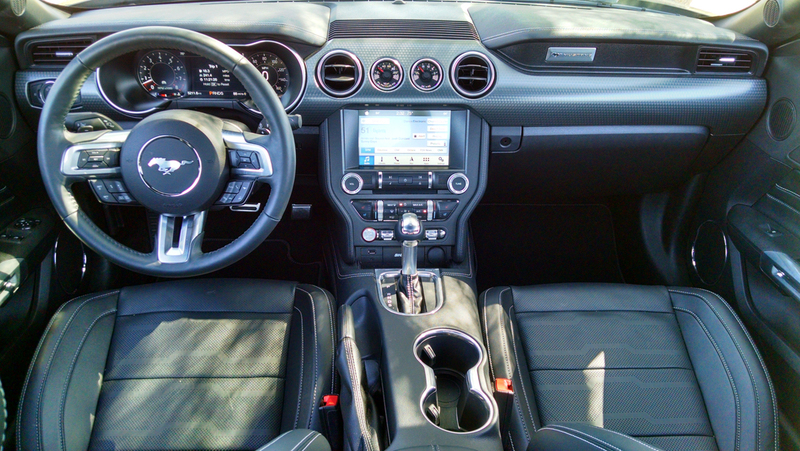 Also new for 2018 in the Mustang GT is the optional MagneRide adjustable suspension which can stiffen up automatically when driving behaviors warrant or dial up and down the scale depending on your selected drive modes. 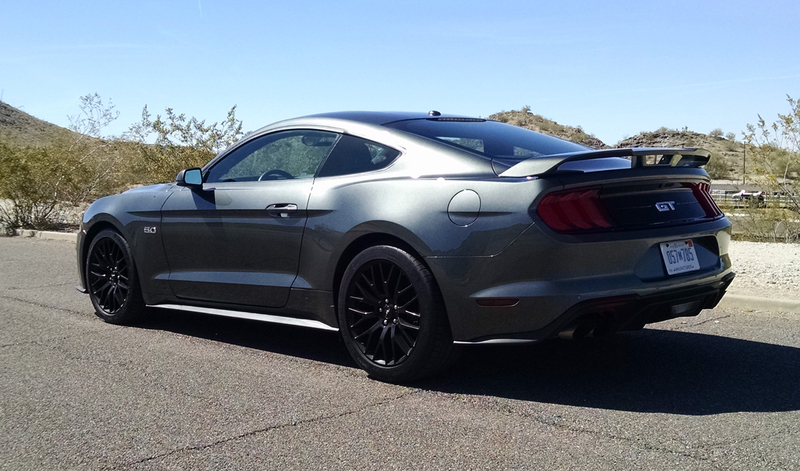 It goes a long way to tightening up the S550 Mustang GT which to us has felt soft and boaty in previous iterations when driven hard. Here it is sharp, precise and has well controlled body motions when it comes to dive, squat and roll in corners. 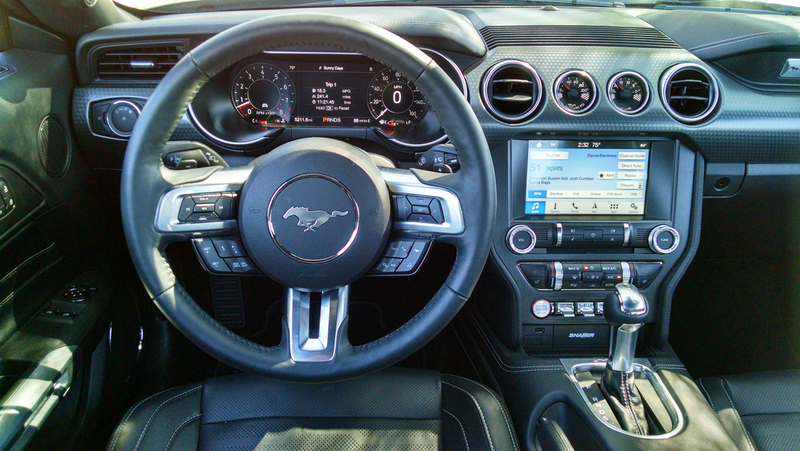 Pricing at over fifty large is getting up there for a Mustang GT, but the car itself has gotten up there in terms of quality and tech. This is no longer an economy car, but a pleasure cruiser that people have demanded more high end of. Now we have it, and it’s a good value at that. 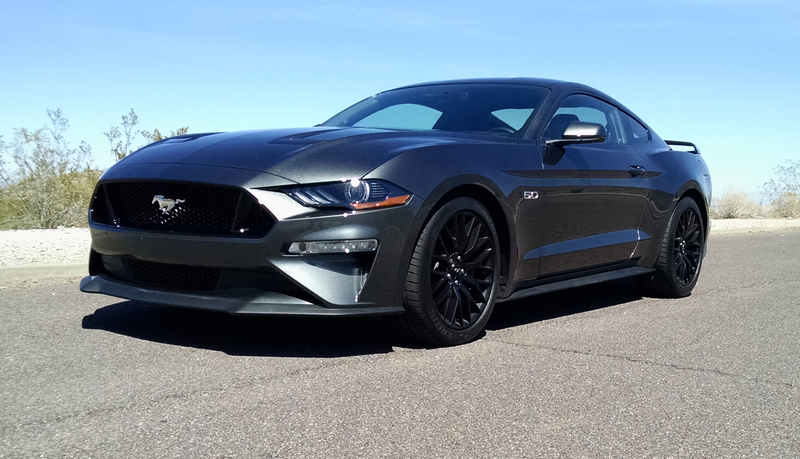 As such, the 2018 Mustang GT makes our Id Buy it list.